Planar catadioptric stereo (PCS) vision sensors consist of a pinhole camera and two or more planar mirrors. PCS systems have recently received an increasing attention in computer vision and have a promising applicability in robotics, since the use of mirrors allows to obtain a stereo view without the need of exact multi-camera synchronization and stereo calibration. 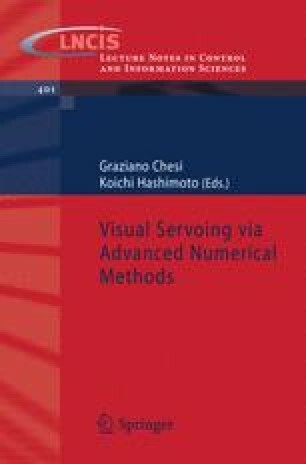 The chapter presents a rigorous analytical treatment of the imaging geometry of PCS sensors and introduce new multiple-view properties that are instrumental in addressing the camera localization problem. Original results on mirror calibration are also provided. Extensive simulation and real-data experiments conducted with an eye-in-hand robot illustrate the theory and show the effectiveness of the proposed designs.